On Monday, Elgato introduced the HDHomeRun, a networked, dual-tuner device that lets you watch and record over-the-air (ATSC) or unencrypted digital cable (Clear QAM) signals on a combination of two Macs or PCs at the same time. Elgato’s $180 HDHomeRun is actually a bundle of the SiliconDust product of the same name with Elgato’s EyeTV 3 software and two software licenses. 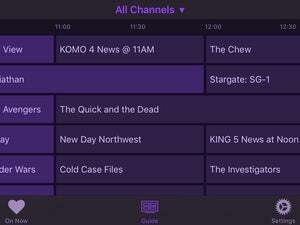 You can also use the $5 EyeTV iOS app to watch live or recorded shows on an iPhone, iPod touch, or iPad over Wi-Fi or 3G. 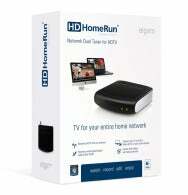 The HDHomeRun requires an Intel Mac with a Core 2 Duo or better processor running OS X 10.5.8 or later. You can also use it with a PC running Windows 7 and having at least a 2GHz Core 2 Duo or AMD processor.